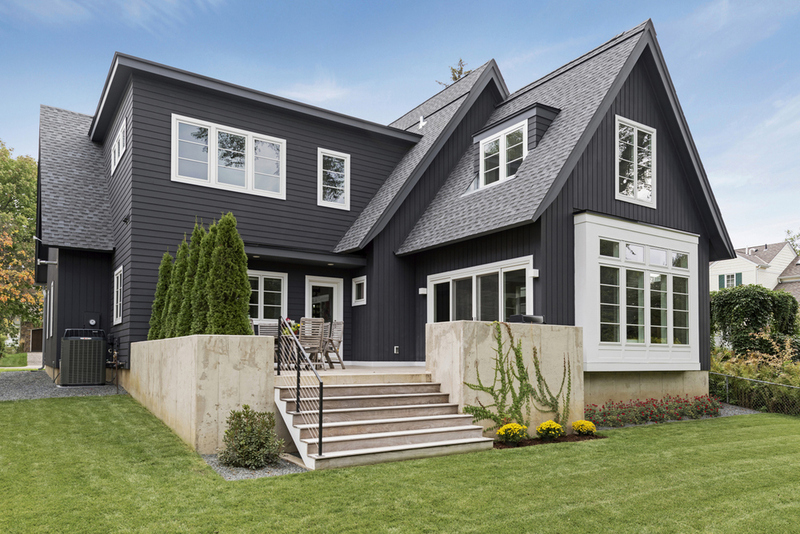 The knock on contemporary cottage homes is usually one of two things – 1) it doesn’t fit in a traditional neighborhood, and 2) the interior doesn’t work with the “mess” of everyday family life. 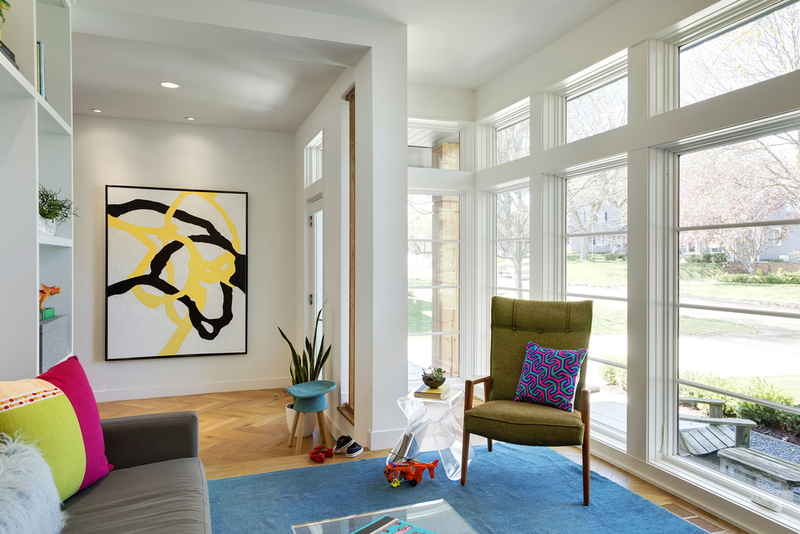 This home by Charlie & Co. Design in Edina, Minnesota doesn’t believe any of that. 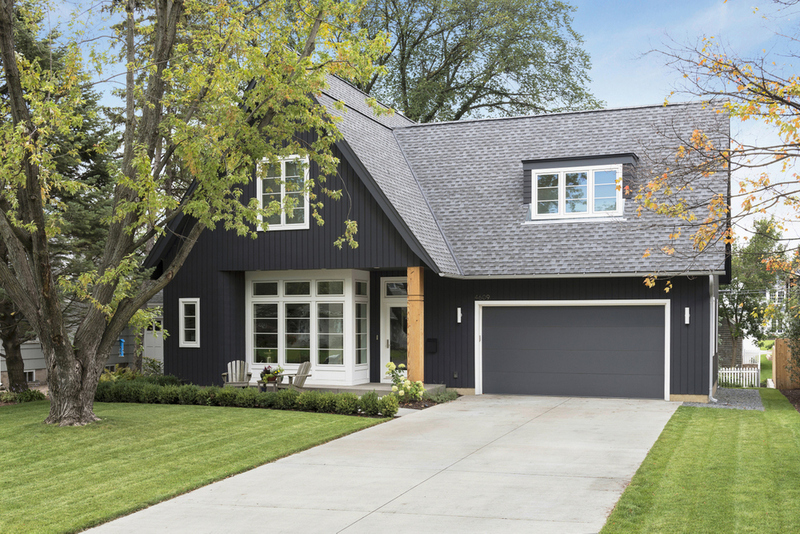 The use of materials, the window design, and the colors on the outside are clearly modern, but they’re blended with an overall massing that’s very much a traditional cottage home. Out back, the cottage forms and modern details continue their perfect blend. Where you’d often see wood railings and decks, this home uses poured concrete and stainless steel cable rail. We think that creeping ivy will eventually cover the concrete completely! Just inside the front door, the color scheme reverses from the charcoal exterior to a bright white interior. 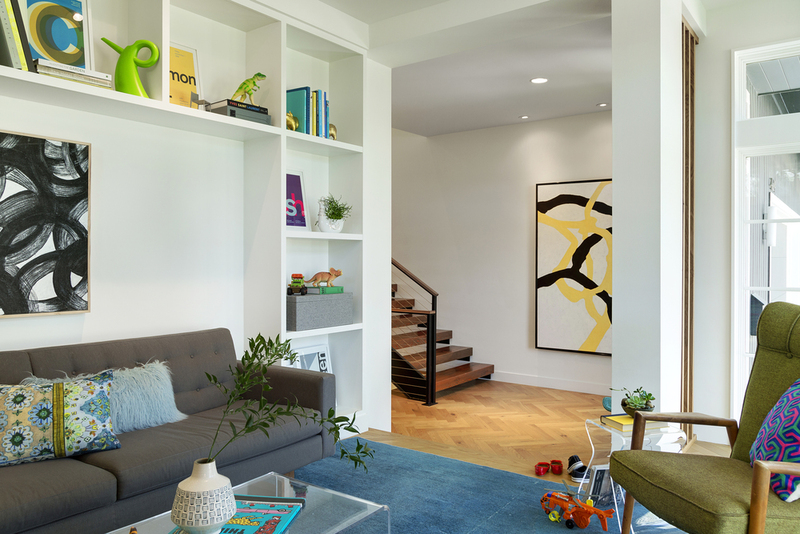 The details here aren’t the architecture, they’re the “stuff” of everyday family life – shoes, toys, books, dinosaurs. 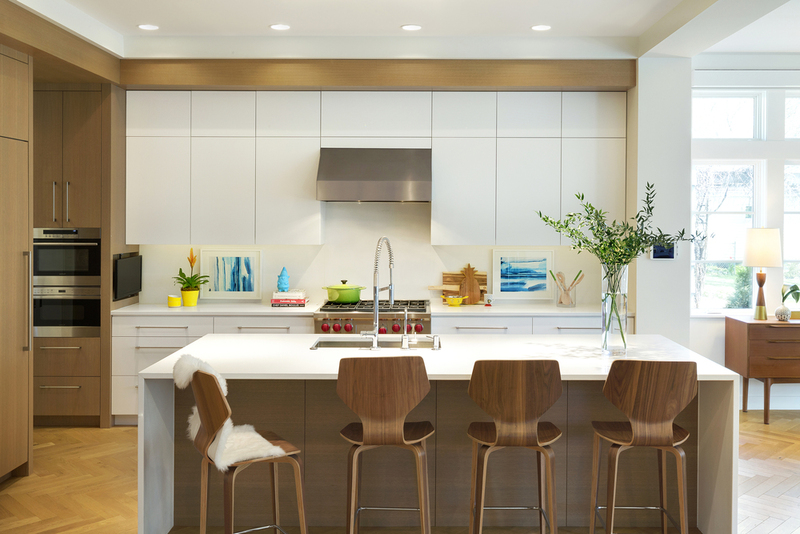 Modern kitchens don’t have to be high art and untouchable, either. We can’t help but think how easy this one would be to keep clean! 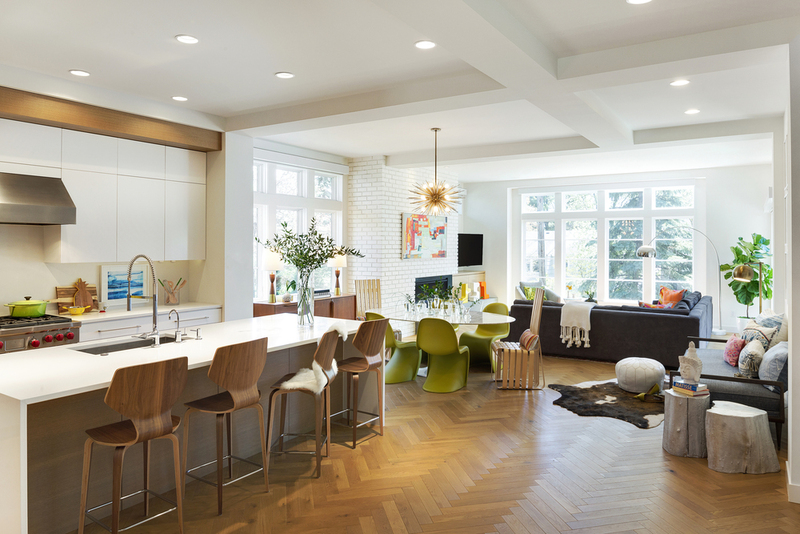 The herringbone hardwood flooring is another nod to the traditional roots of the neighborhood. 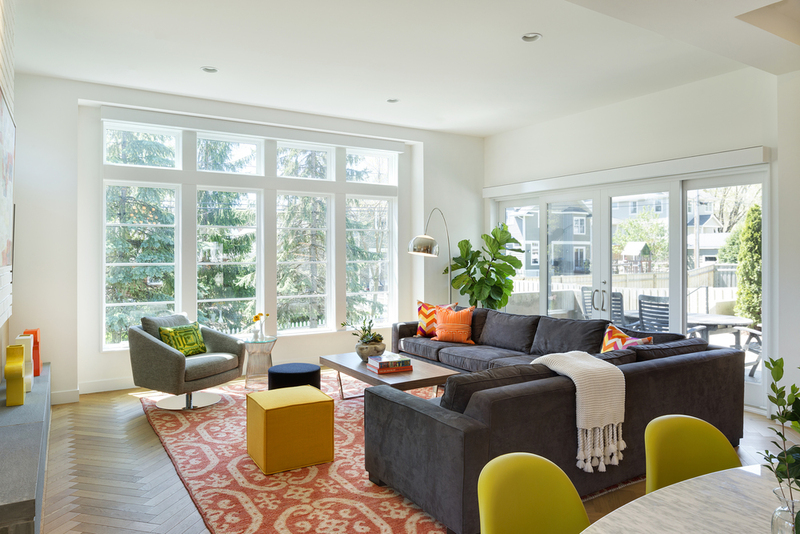 The kitchen of this contemporary cottage flows right into the family room – where huge windows brighten the room during long Minnesota winters. The fireplace is the focus of the room, but unlike a typical traditional fireplace, it’s painted out so it doesn’t dominate the space. We like the placement of the TV – at the right height for viewing (not above the fireplace), and off to the side, where it isn’t the most important thing in the room. 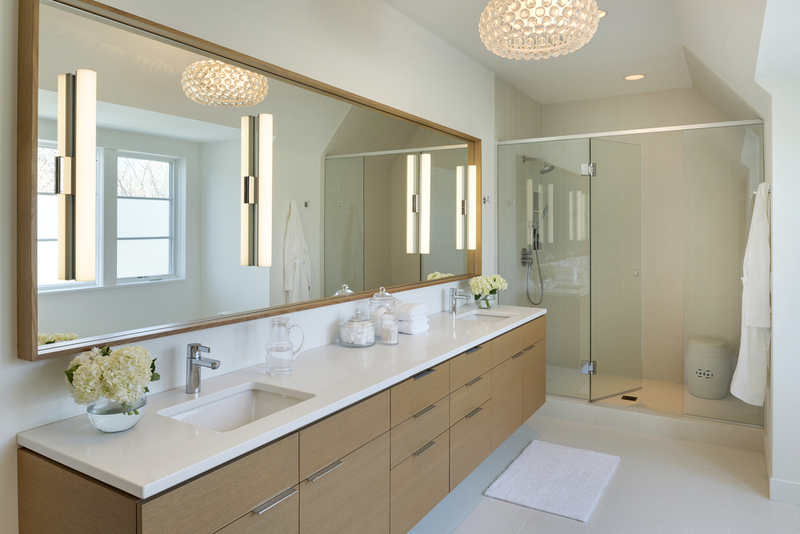 Up in the master bath, the modern theme is stronger, including plumbing and light fixtures. The ceramic barrel is one of the more interesting ideas for a shower seat that we’ve seen!